A Vietnam-era naval thriller pits a destroyer’s crew against a scheming admiral. In 1971, the USS Farnley is an aging World War II Navy destroyer stationed in the Mediterranean. Unbeknownst to its captain and its crew, it is part of Operation Marathon, in which it is subjected to wartime deprivation conditions in order to assess its functionality during a nuclear war. The operation is intended to prove that the U.S. needs a brand-new generation of high-tech ships. It is the brainchild of Adm. Eickhoff, who is manipulating the results since he stands to be promoted and put in change of this new navy. He has made sure that the Farnley has an inadequate captain, Javert, an inexperienced crew and virtually no supplies. After two years, the ship is a wreck, and the frustrated crew is demoralized. But Lt. Lee, a new engineering officer, inspires the crew to regain pride in their ship. Skirting the rules, Lee finds mechanical parts and injects new spirit into the men. Eickhoff, however, finds out and moves to correct the situation. Meanwhile, suspecting that something is amiss, the Navy brass sends an officer to investigate. Skulduggery, fights, personality conflicts and a suicide ensue, culminating in a dramatic rescue at sea. Author Laswell served on a similar vessel in the 1970s, and it shows in his terrific book. Dialogue and action are vivid, and the machinations of the naval hierarchy are completely believable. Scenes aboard the ship are palpably real, especially the breathtakingly intense rescue scene, based on an actual event on the USS William M. Wood, on which Laswell served. Yet the book still needs some work. Interior monologues can be stilted, and too often, readers are simply told what to think. Eickhoff, Javert and others sometimes come off as one-dimensional, so better character development is needed as well. The first part of the book moves too fast, relegating two years of Operation Marathon to a few paragraphs; it’d be more compelling to use a chapter or two to show the ship’s gradual decay rather than to state the circumstances as a given. Still, with a strong editor, this book has serious potential. 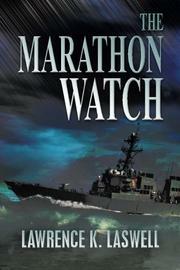 Despite some shortcomings, a riveting, realistic tale of Navy seamen and their pride in their ship.